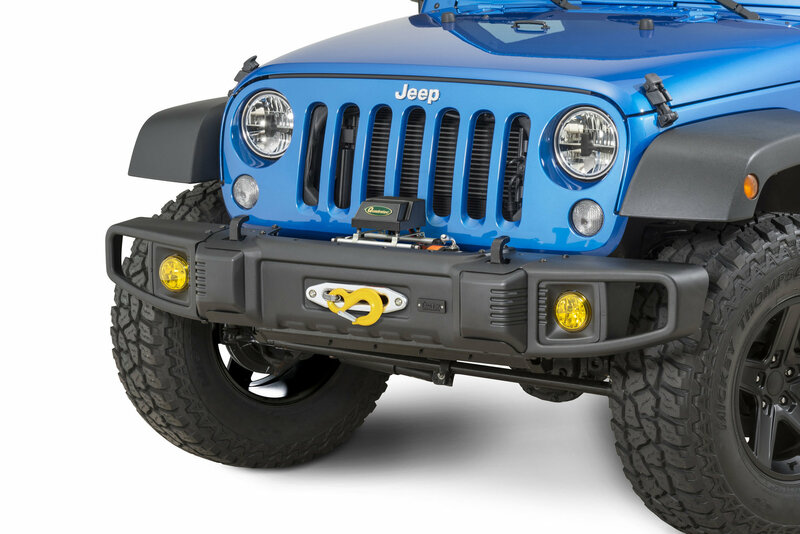 Upgrade your bumper with the TACTIK Front Bumper & Q9000s Self Recovery Winch by Quadratec for your Jeep Wrangler JK. 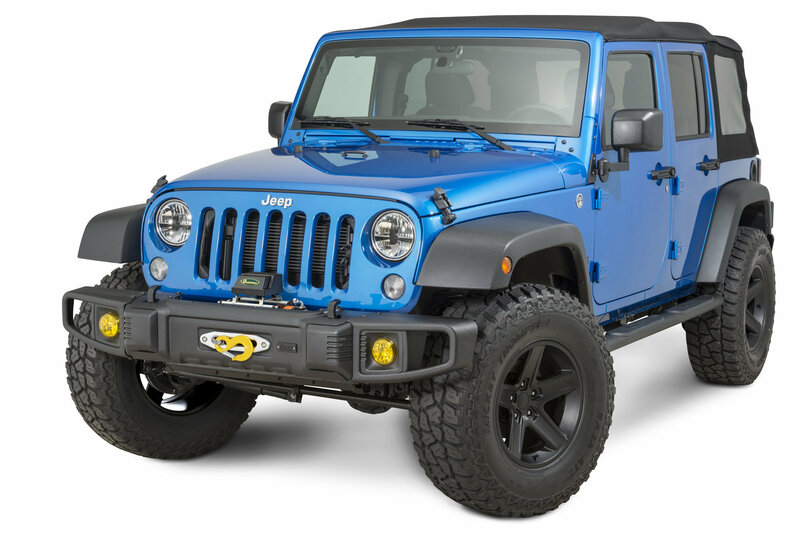 This complete kit includes the Front Bumper, Winch Plate, and Q9000s Quadratec Winch. 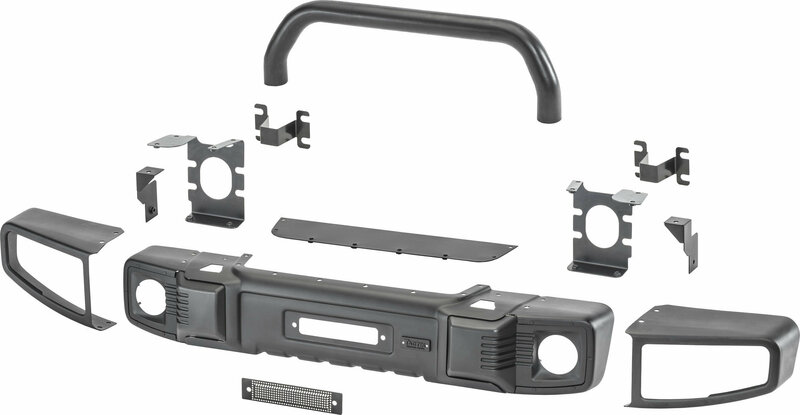 Giving the front end of your Jeep protection and a stout look with recovery ability. Having options to be setup in two different widths. The narrow shorty style setup can accommodate larger wheels and tires with improved approach and departure angles while the full width version provides additional side impact protection. The TACTIK Bumpers have specially designed injection-molded plastic crush-can covers that complement the bumpers styling while providing the ability to retain the low speed factory crush cans. Standard features include provisions to retain the factory tow hooks (required for installation) along with mounting brackets for the factory fog lamps. Optional feature to add include the over rider hoop for maximum grille protection. Finished with a durable textured black powder coat for lasting style and a 5 year limited bumper warranty. 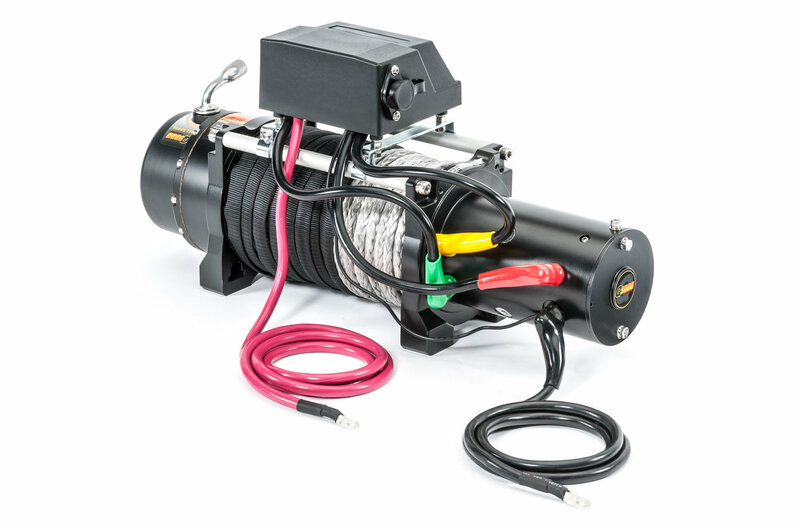 The winch offers a Limited Lifetime Warranty on Mechanical Parts and 1 Year Limited Warranty on Electrical. Fog lights are sold separate. 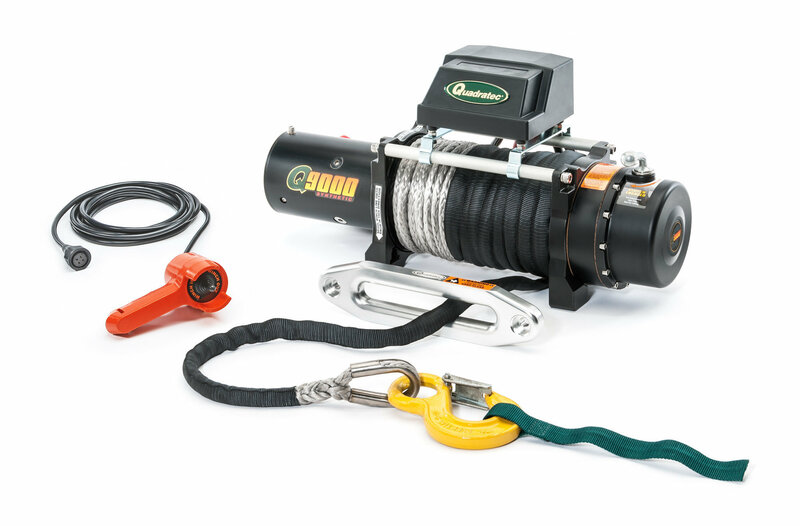 Winching Performance: The Quadratec 9000 lb winch with synthetic line offers reliable recovery when you need it. Engineered with a Dyneema® winch line made from polyethylene fiber for strength and safety while reducing weight. Fifteen times stronger than steel and will not rust. 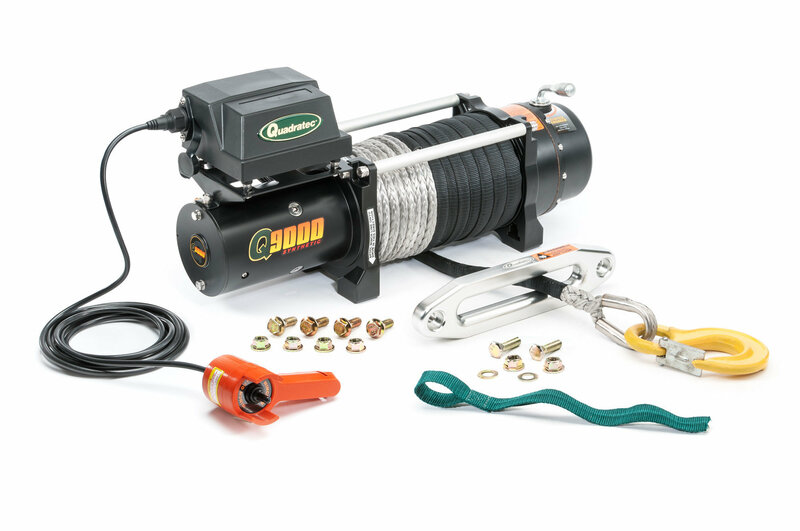 The winch line is 90' x 3/8" diameter and rated for 18,000 lbs. Includes a 12' wired remote, billet hawse fairlead, and winch hook. Giving you the ability to get out of those sticky situations. Strong Modular Bumper: A stamped steel bumper made from 11 gauge steel with removable ends. Offering a full width 68 inch bumper or stubby 54.5 inch bumper with the ends removed. Giving a custom look that can be modified for different circumstances. The ability to removes the ends for a wheelin trip will give you better clearance. While the full width version provides more protection on the road from other drivers and deer. Optional Grille Protection: Not only does the optional Hoop add a bold aggressive style to your Jeep Wrangler JK, the Over Rider Bar provides added protection to your grille and radiator. This bar also allows for a potential location to add more lighting onto your Jeep by adding light tube clamps which are available separate.